Millcreek Utah. Early Thursday morning Shelby Hamilton, a young barista working the early morning shift at Starbucks, was assaulted by a deranged man. According to Miss Hamilton, she was behind the counter working on drink orders when a disheveled man ran into the coffee shop and, instead of ordering a drink, ran behind the counter and began to attack her. 37-year-old Benjamin Overall, who police say might have mental issues, began to punch her in the face and the back of her head. He reportedly demanded to know if Hamilton knew him. When she replied that she didn’t, he became angrier. But Hamilton had nowhere to run, hemmed in by the counter she was quickly cornered by Overall, who grabbed a “metal supply basket” and hit her in the head with it. When Hamilton crumpled, he began to savagely kick her in the back. Nearby co-workers and customers didn’t step in to help her, frozen in horror at the beating. Hamilton looked around her for help but didn’t see any coming. It wasn’t until police found her, still hiding under the counter that she realized what had happened. Overall hadn’t stopped the attack because he was finished with her. 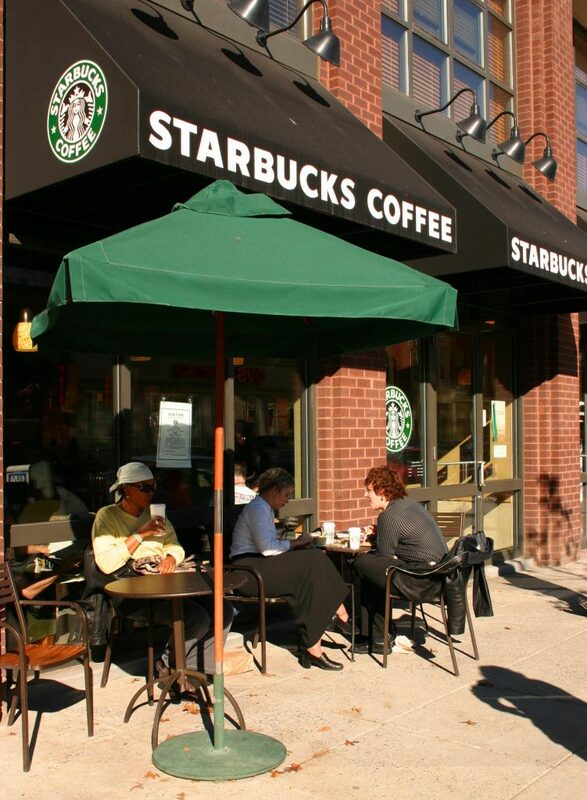 He’d merely turned his focus on a regular customer of this Starbucks location, a man in his late 60’s, who drew Overall’s attention away from the barista. Overall advanced on the still unidentified man, who drew the gun which he is licensed to carry concealed, and shot Overall once in the chest, causing him to flee the Starbucks, where he was met by police. Even after being shot, Unified Police still needed to use a TASER to bring the man down. It wasn’t until after police had him in cuffs, that they realized he’d been shot. Overall was taken to the hospital in serious condition but was quickly upgraded to satisfactory. Hamilton was transported in fair condition and released with a bruised eye, swollen face and cuts to her hands and back. She went on to say that she was surprised her rescue to came from the regular. Unified Police Lt. Ken Hansen said the citizen is being “very cooperative” with police and did not anticipate any charges would be filed against the defender since the shooting appeared to be in self-defense. In 2013 Starbucks announced that, while they would not ban the carrying of firearms on their property, they requested customers not bring weapons into their coffee shops. What do you think of this situation? Leave us a comment below to let us know. Carrying concealed in a business that doesn’t allow it can lead to its own set of legal considerations. Read here for a list of businesses which are not 2nd Amendment friendly. While Overall was shot in the chest, officers still needed a TASER to stop him. Understanding the physiology of gun shot wounds can help you make the right decision if you’re called upon to draw your pistol. Overall could have continued his attack, even after being shot, but thankfully it was enough to drive him away and into the arms of the police. Read here for The Physiology of Stopping The Threat. I can’t believe Starbucks said that, he saved her life. I think if you are legally carrying a gun ,it nobody business.